Domain name registration is an important factor in the process of website creation. However, one needs to register multiple domain extensions such as .mobi, .info, or .biz just to name a few. It is just not enough to go for a single Top Level Domain because one can ensure a wide spectrum of advantages by registering as many domain extensions as possible by choosing a trusted domain name registrar. This article tries to highlight reasons for availing more than one domain extension for a website. It is common for your potential customers or business associates to search for your company by typing company’s name followed by any domain extensions. This is because it is not practically possible to remember a particular domain extension. 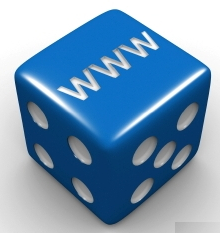 If you have secured multiple extensions of your domain name from an established domain name registrar, then the probability of hitting the right address is enhanced. Competitors usually purchase your domain name address with different extensions to perplex your audiences. With help of more number of domain names, you will be able to establish your online identity without leaving your competitors any scope to purchase extensions of your domain name. CCTLD or Country Code Top Level Domain is a gateway for your business to establish its online presence in overseas markets. You can easily target customers from Canada by acquiring a .CA domain. This will help redirect all search requests with .CA extension of your domain name to the site with a .COM domain extension. It is much more logical for customers from UK to easily accept your business’s domain name with .UK extension rather that a generic .COM extension. In fact, many organizations are offering websites that are exclusively designed for particular countries by providing country-specific content, in addition to a CCTLD. Multiple domain name extensions from reliable domain name registrar service providers, are also found to enable secured email communications. If your organization has a large number of domain names extensions, then it will not be possible for spammers to focus on a particular mail box. Multiple domain name extensions thus help you keep hackers at bay from inflicting phishing attacks. Registering your domain with a proven domain name registrar and different country specific domain name extensions definitely makes a good sense. There is a greater possibility of improved search engine ranking positions if an organization is using a country specific domain name extensions. This is because domains with particular country specific domain name extensions fare better in search rankings. You can purchase extensions for Singapore, India, Malaysia, Australia, and so forth. Most of the entrepreneurs begin their businesses by focusing on local markets and then decide to go for an expansion. Nowadays, the process of business expansion has become extremely easy, thanks to the technology of internet and availability of web hosting providers. It is hardly any wonder that many companies are expanding across the globe by building their online presence in countries that happen to be in other parts of the world. Country specific domain extensions come handy in expansion drives. These names will also help your business get accepted among the target audiences in that country. This is the reason why major online megastores such as Amazon use country specific domain extension while establishing their footprint. It is common for a business to register as many as thirty to fifty domain names from reputable domain name registrar companies. Instead of designing an entirely new website, one can go on adding different extensions to the domain for establishing a whole new online presence. Registering a .COM or .NET domain for an enterprise has been a common practice for many organizations. However, smart enterprises go one step further and procure as many extensions to the domain name as possible. Use of a single domain name extension can prove to be detrimental in the longer run. Hijacking your online identity by competitors is prevented if you have taken care of protecting the same by blocking as many extensions as possible. Moreover, there are hardly any costs involved in purchasing more domain name extensions. The significance of multiple domain name extensions and a right domain name registrar is associated with securing and establishing a robust online identity of the business. It also pays to register surplus extensions since you are providing more number of access points to your potential customers to find y u in the online jungle.